Home » Upcoming Games » What Do We Want to See in a New Indiana Jones Game? What Do We Want to See in a New Indiana Jones Game? 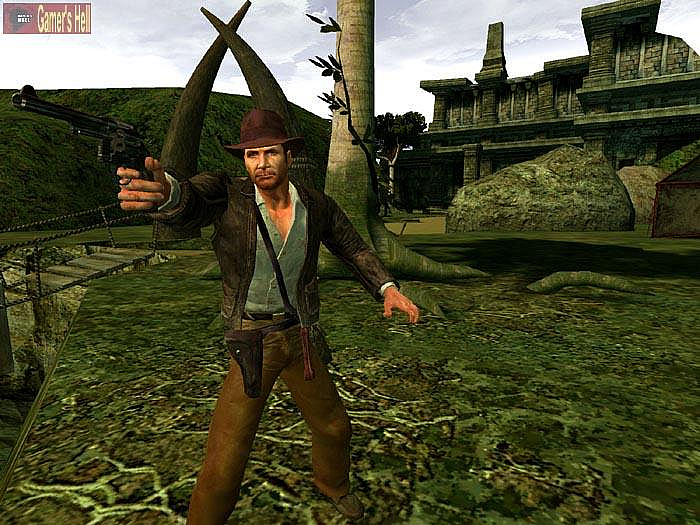 Indiana Jones is a pop-culture icon, but he’s been missing from the world of video games for too long now. The last Indiana Jones video games on consoles came way back in 2009, and were both very different: Indiana Jones and the Staff of Kings, and Lego Indiana Jones 2: The Adventure Continues. The Lego instalments were fun and captured some of the movies’ spirit, but they weren’t the virtual Indy experience every fan wanted. Indiana Jones and the Staff of Kings, meanwhile, was okay but flawed. Though Indiana Jones 5 has been confirmed (but still feels a long way off), there’s no sign of a new video game outing for the Nazi-busting part-time teacher. There’s still plenty of juice in the idea, especially with the adventuring Lara Croft and Nathan Drake have done on consoles in recent years. After all, their games borrow heartily from Indy – isn’t it about time he donned his fedora and showed them how it’s really done? Of course it is, and we’re bound to get a new Indy game in the future, but what do we want to see when it finally comes along? Gaming technology is now at the point where characters can resemble actors in a creepily-realistic way. As yet, we’ve never had an Indiana Jones video game starring the Harrison Ford we all recognise, rather than a generic stubble-flecked guy and a middling soundalike. Just imagine being able to duke it out with Nazis or cultists to quips, grunts, and groans delivered by Ford himself. Sure, he sounds a lot more grizzled now than he did in the past, but when matched with the likeness of him as a younger man, his voice would really add to the experience. Unless, of course, the game were told in the form of a flashback, with an older Indy narrating the story. Sure, dialogue might need to be sampled from the original three movies, but even this would make all the difference. Especially if the game was a retelling of the films in a structure similar to the Lego games, only in a more realistic style. 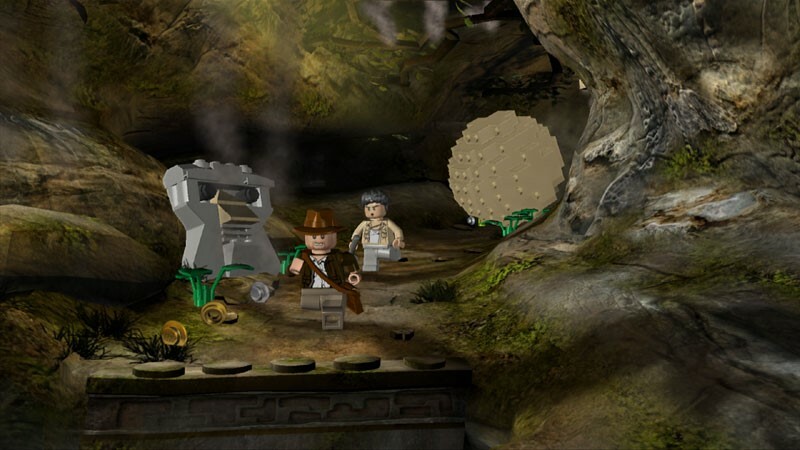 The Lego game recreated multiple moments from the original Indiana Jones films, but how about doing that with the latest graphics? Helping Indy running from that boulder, fighting the strongman by the plane, leaping from a descending plane in an inflatable raft, escaping from Nazis with Henry Jones Sr. beside him – there’s no end of scenes to pick. Recreating these with actors’ likenesses, John Williams’ unforgettable music, and voice work would be incredible, especially as part of an overarching plot. As mentioned above, the game could retread the films’ stories, or recreate iconic moments within the frame of an original narrative. Either way, fans would finally get to play as Indiana Jones in the sequences that made us fall in love with him in the first place, only with more realism than ever before. 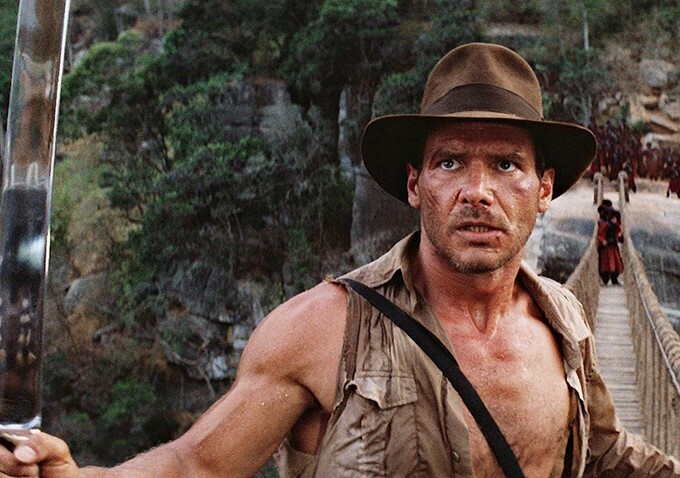 Fortunately, it’s fairly easy to conceive of a reason Indy might be chased by another boulder, go on an adventure with his father after the events of The Last Crusade, and more. After all, he’s a character who can go pretty much anywhere in the world and get involved with pretty much any kind of plot – so long as it’s good! Indiana Jones and the Emperor’s Tomb did a fantastic job of capturing the character’s bumbling qualities – especially in hand-to-hand combat. Indiana Jones and the Staff of Kings tried a similar system, but wasn’t quite as successful. Fighting enemies in the Emperor’s Tomb was a blast, given how accurately Indy’s unpolished fighting style was replicated. Punches and kicks were basic, while nearby objects (bottles, chairs) could be used for extra damage. It captured the feeling of a scrap between enemies with no formal combat training brilliantly, and made you believe you really were playing as Indiana Jones rather than a generic adventurer. His whip, of course, came into play too. 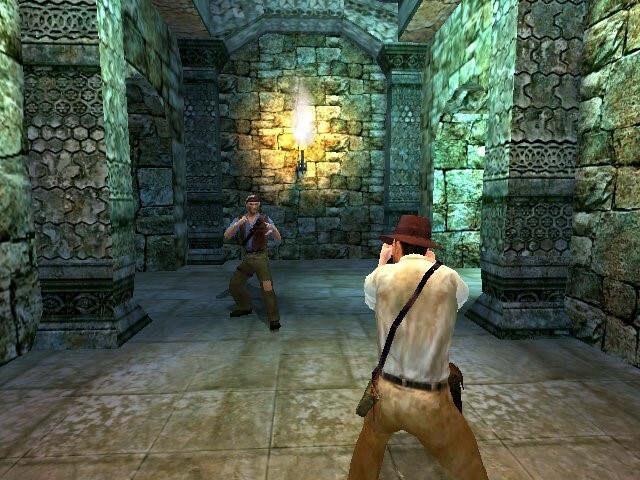 We’d love to see this style of fighting continued in a future Indiana Jones game. Obviously, this could be taken further now, considering Indiana Jones and the Emperor’s Tomb was released in 2003. Indy could get bad guys in headlocks, throw them against walls, toss them across tables, use them as shields against attacks, and more with greater fluidity and collision-detection. The whip-mechanics have much more potential now, and could be used in a far more free form manner. Indy should be able to pull weapons out of hands, swing across chasms, snare enemies around the waist, knock objects over, and more whenever he likes – maybe not unlike Catwoman’s whip-action in the Arkham games. The technology exists now to not only make Indy look and sound exactly as he should, but to make him behave just as we’ve watched him do so many times. Making Indiana Jones a fully open-world game might be pretty difficult, considering how much travelling the character tends to do in his quest to find the next ancient artefact that belongs in a museum. Even if the plot imposes some linearity in moving from one location to the next, we should still have vast free-roaming spaces to explore. Perhaps something akin to the 2013 Tomb Raider reboot. Lara had huge environments to cover, horizontally and vertically, but was in one remote location from start to finish. 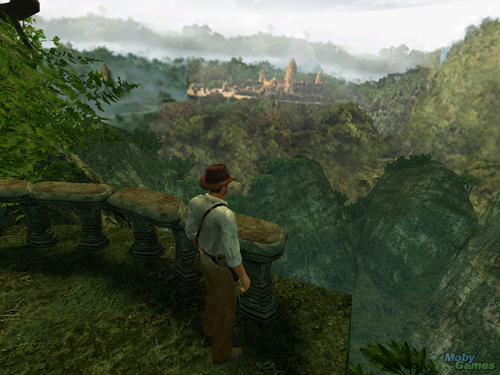 Though the idea of setting an Indiana Jones game in just one area might not gel with the character, perhaps utilising three or four massive areas in this fashion could work. You would still be able to scale cliffs, venture into tombs, swim, whip-swing between platforms, run from boulders, drive vehicles, and more, but with a wealth of objectives to hit. Indy could even return to Marshall College between adventures, to rendezvous with Marcus Brody. It’d be great to see Indy partner with certain characters based on his location too, such as working with Sallah, Marion Ravenwood, and Willie Scott elsewhere. There’s so much to take advantage of in the Indiana Jones universe, and the fan-base is definitely still there. It’s only a matter of time until Indy makes a console comeback with a major game, so let’s hope it’s everything we want it to be when it finally arrives! A new Indiana Jones video game is well overdue, so what would you like to see in a new virtual outing for Harrison Ford’s heroic archaeologist? Check out our ideas, and share your own!